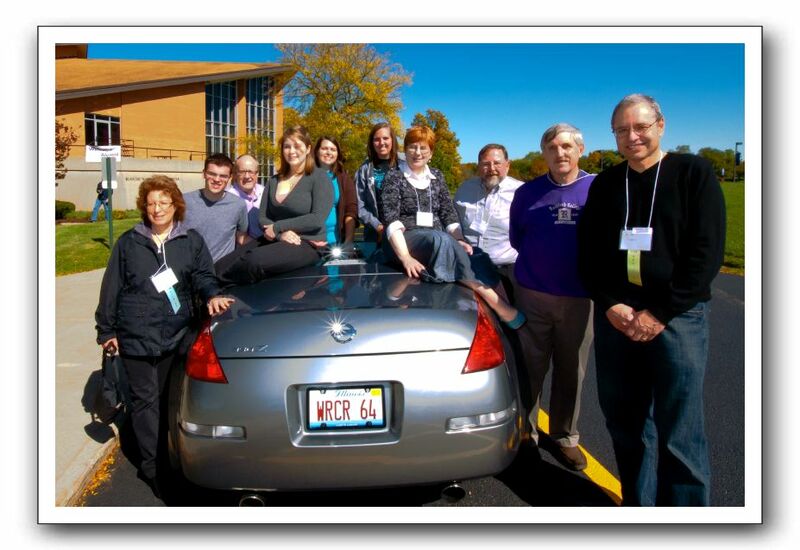 WRCR alumni and Rockford College Radio staff at the 2011 Reunion on October 1, 2011. (l-r) Robin Wingast LaBedz, Vince Chiarelli, Bern Sundstedt, Shayna Leber, Tracey Redeker, Allyson Utech, Cece Forrester, John Bace, Ross Hunter, and Brian Dubin. The car and vanity license plate belong to John Bace.